What better time than now to give the gift of a DSA membership to a fellow designer?? Gifting is a great way to extend your own membership as well—think of it as two for one! Give the gift of membership to an intern, friend or co-worker and receive a free year of membership for yourself! Know a student or teacher in the field? With our new Student/Instructor Membership, you can get your teacher or your student to sign up at a reduced rate of $50 when you refer them-and you receive a month of your membership on us! That's a free month for every person that you get to sign up for a membership with DSA from now through December 31st! Is there a better gift than a step in the right direction for your future? I can't think of a better one! Please call 1-866-311-1372 and mention "HOLIDAY GIFT." So, as you are planning the start of your next year (after eating way too much during the holidays, like I do) remember to vow to be involved, to help your fellow man/woman, and to keep designing! Happy Holidays from the team at the Designer Society of America! "This is my story and I'm sticking to it…"
All children have unlimited imaginations during playtime. I was not an exception. I grew up in the saddle horse business, spending many hours daily with the horses, ponies, dogs, cats and an occasional goat. Along the way, my sisters and I started decorating the horse stalls and tack room whenever we could get away with it. I am sure my father did not always approve when an item he was searching for could not be found! We had moved it because we had to "redecorate." After decorating we would play house in the stable. During horse shows the stalls were traditionally decorated with cheese cloth according to the stable colors. After the show was over at the end of the week, we girls worked as fast as we could to gather the prettiest and the cleanest cheese cloth that had been cast aside from the other stalls. Most of the colors we had to choose from were red, blue, green and white (I am thankful I have more to choose from now!) We used this leftover cheese cloth for window treatments and chair covers to decorate the tack room at our stable at home. As I grew older, my stable decorating and house playing changed to sitting for hours, drawing what I thought at the time were blueprints for elaborate barns. Oh! how I would dream of having a barn like my designs…I am sure they have never existed and never will. When I married, my husband and I started off with a house that was built in 1859—and I don't need to tell other designers what that meant! In 2005 I had an invitation from the Woodford Humane Society of Versailles, KY to participate in the society's fundraiser, the "Freedom Fest," which exists to help support this no-kill humane society. We have participated in this event every year since--it is an addiction for me now! 2011 was my seventh year. The Society asks designers to decorate horse stalls as dining rooms to accommodate seating for eight. There are usually 22 stalls for dining with designer-decorated tables under the tent as well as regular tables for dining. The event is held in July during the hottest time of the year; therefore, dining in a stall needs to look like a cool place to be. For this reason, I always decorate in a light and airy style in order to make everyone feel cooler than they could possibly be. Also, when designing the stall, I never try to detract from the original surroundings, as some do by covering the walls. I want to make the stall as wonderful in its own rights as I possibly can. In 2006 the former CEO of Home and Garden TV, Frank Gardener, dined in my stall. In 2008 Vern Yip was the speaker and I had the pleasure of meeting him; he is very fond of dogs. This year and last it was held at Annestes Farms which is owned by George and Lori Hall, 2011 Louisiana Derby and Belmont Winners. The speakers this year were Badgley Mischka, who showed their designs. This event is always held on a thoroughbred horse farm (each host farm has it for two years) and is a two-day event. Breakfast and lunch are served on the first day with the seminar in between the two meals; the lunch is followed by a meet-and-greet for the designers. Saturday night includes a dinner, live auction, silent auction, and a dance. I hope you can capture the feel of this event. It is a big expense to designers but for a great cause. What keeps me going back is the fact that no one says no to my ideas--and we designers like that. What can I say other than it is addictive! A childhood fantasy come true…but isn't design all about making dreams come true? To donate to the "Woodford No-Kill Humane Society" or to find out more about this event, please click here. Congratulations and a shout out, are in order for our member, Brian Watford DSA! 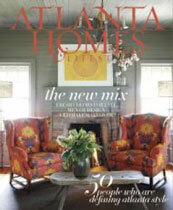 Brian is featured in the November issue of "Traditional Home". Please remember to read the wonderful article and view pages and pages of his beautiful work. Brian Watford is a very talented interior designer and we are proud to have him as a member. Erwin Technical Center is located on Hillsborough Avenue in Tampa, Florida; the Center has been serving adult post-secondary students for more than three decades. Erwin's Interior Decorating Services program has been a vital part of the school. Throughout the years, the instructors have been involved often in decorating for special events at the school; they have turned these opportunities into teaching scenarios for the students. These events are examples of the many ways that instruction is geared toward making the learning as "real world" as possible. This "real world" learning includes field trips to significant pieces of architecture in the area, working with clients, hearing guest speakers from the industry, and visiting decorating- and design-affiliated businesses. The program is rigorous, including instruction in color theory, Auto CAD, business skills, architectural and interior design history, fabric science, calculations for wall and floor surfaces, accessory selection and placement, and so on. The program is designed to prepare a student for both entrepreneurship and employment in a related decorating business. Because Erwin is part of the School District of Hillsborough County, the school is tax-funded and lower in cost than many other programs in the area. The instructors have all been degreed and the present instructor, Lydia Kimler, received her Master's Degree in Interior Design from Florida State University in 1981. She has owned her own consulting business and has worked as a designer for a local design studio. She has taught design for Hillsborough Community College and now focuses full-time on teaching Interior Decorating Services for Erwin Technical Center. Recently, Erwin formed an alliance with Designer Society of America. This alliance allows our graduates to network with over 30,000 professionals in the design and decorating fields. In addition, upon graduating from Erwin Technical Center and receiving a diploma credentialed through the state of Florida, graduates may take the Residential Interior Design Exam. Upon passing the exam, graduates may proudly list "Designer Society of America Certified" behind their names. We have suggested developing yourself during these "down" months—maybe getting some further education, developing another specialty, or revamping your personal portfolio. How about attending an Interior Design convention or trade show? For example, let's take a look at a fabulous event coming right up in… L.A.! The Affordable Art Fair will be on the West Coast in January. This exciting fair showcases a multitude of artists, galleries and exhibits; the Fair will be in Los Angeles in January 2012! Our friends at Design Success University just closed the annual survey, and the results are very surprising. Some designers are so busy that they need to hire more staff. Many are having a profitable and successful year in spite of the economy, so it is good news for our industry. The 2012 eBook will be published on January 5, 2012 and until it is available, you may download the 2010 version by going to this link. You may return to the link on that date to download the newest results, so be sure to mark your calendar. Thank you to all of you that participated..
Are you ready for 2012? The Studio Webware Training Conference is in Denver on October 13 and 14 2011. Learn all of the detailed features of Studio Designer to make your 2012 productive and profitable. Learn how to enter item information one time and create proposals, orders and invoices with the click of the mouse. Attach images to your documents to provide a professional presentation to your clients. Allows your clients online access to interactively review design projects at their convenience. Capture product images from manufacturer website with one click. Best of all learn how to access your business data from any mobile device, anywhere, anytime. Contact us at Info@StudioWebware.com for more information. Tamara Thomson DSA just can't seem to keep still! Raising a child, running a design business, and tending to her wonderful husband sound like a full plate for most of us, right? Tamara is painting custom holiday cards this season! A portion of the proceeds will be donated to a Van for Nia. You can read up on this cause here.